Did you file your taxes? You may have appreciated the May 5th extended deadline. Last week I mentioned that Elizabeth May played a role in this; here’s how. Last year, Canada’s Revenue Agency allowed a 5-day extension after the Heartbleed computer virus wreaked chaos. 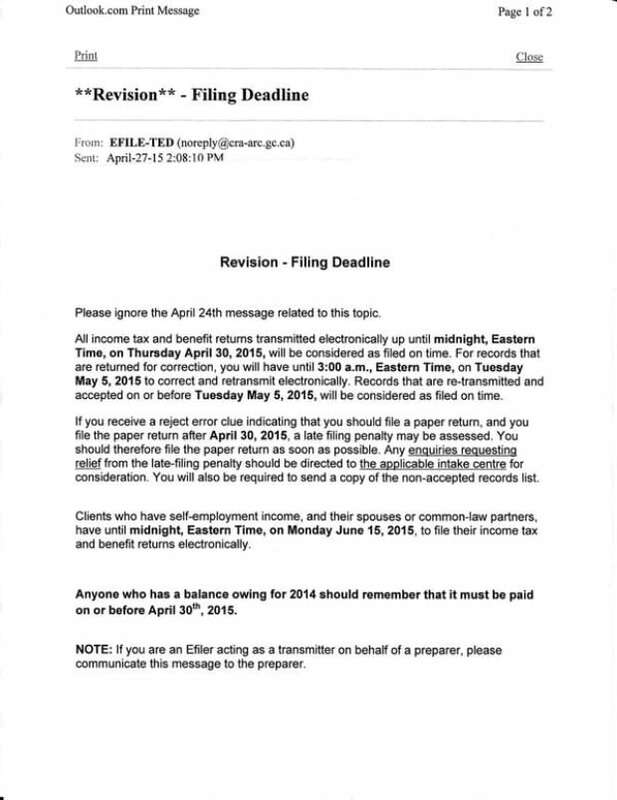 This year on Friday, April 24, they erroneously re-sent last year’s extension message to thousands of accounting firms, who with a sigh of relief took a normal weekend instead of working through it. Then on Monday, April 27, CRA issued a retraction; suddenly all those firms were behind the 8-ball, now sure to miss important deadlines, costing clients millions of dollars in late penalties. One accountant immediately contacted his Member of Parliament, Elizabeth May, informing her of this looming disaster. Receiving his message on her BlackBerry while sitting in the House of Commons, she immediately had it printed, added a cover letter, and walked across the floor to Minister of National Revenue Kerry-Lynne Findlay, with whom she shares a good working relationship. Hence, within 15 minutes Minister Findlay knew of the issue and that same afternoon announced the mistaken missive would be honoured, extending the tax deadline 5 days. 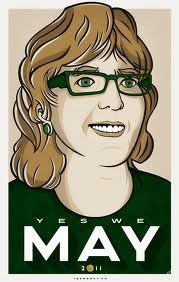 Ah, Greens; even our slogans are more polite. Now, you may say that any MP could have done this, and in theory, that’s true. But in fact only a minority of MPs are in attendance any given Monday morning, while May, with the best attendance of any party leader, is there at least 85% of the time, far better than my own backbench MP’s bottom-of-the-list record. Another factor is how quickly a constituent’s urgent concern reaches an actual MP, rather than languishing on the staffer’s desk at the local office. Only a most diligent and well-connected MP could finesse this immediate turnaround. Perhaps that’s why May was voted Best Constituency MP (not to mention Hardest Working MP). This demonstrates just how effective a single MP, in a caucus of one or two, can be. When elected in 2011, critics declared May would have no noticeable impact. But since constitutionally, all MPs in Parliament are equals, May knew she could have significant effect, and has. She has been the only vote blocking unanimity on a couple of problematic motions, the only opposition MP to attend international climate negotiations, and recently her amendments were accepted into a government bill. This latter event is extremely rare under Prime Minister Stephen Harper’s government, but proves an MP needn’t be in the governing or official opposition party to improve legislation. Green MPs proved they can represent their local district first, rather than always bow to the dictates of a party whip. Imagine if we had more MPs like this! We don’t have to imagine, we can witness. Two Green Party MPs now sit in the House, both very active on local and national files. Meanwhile, Greens were elected to provincial seats in BC in 2013 and New Brunswick in 2014, and just this past Monday, PEI’s Green Party leader Peter Bevan-Baker was the first Green sent to Charlottetown, with the province’s largest lead and highest voter turnout. Step by step, Canadians are learning that rather than having no impact, even a single Green MP or MLA has disproportionate influence. Later this year, we’ll witness the power of a whole Green caucus, as Canadians send a dozen new Green MPs to Ottawa. Published as my Root Issues column in the Barrie Examiner as "Thank Elizabeth May for extended tax deadline"